The online community pendulum is swinging back. It’s no longer enough to rely on social networks for community infrastructure. 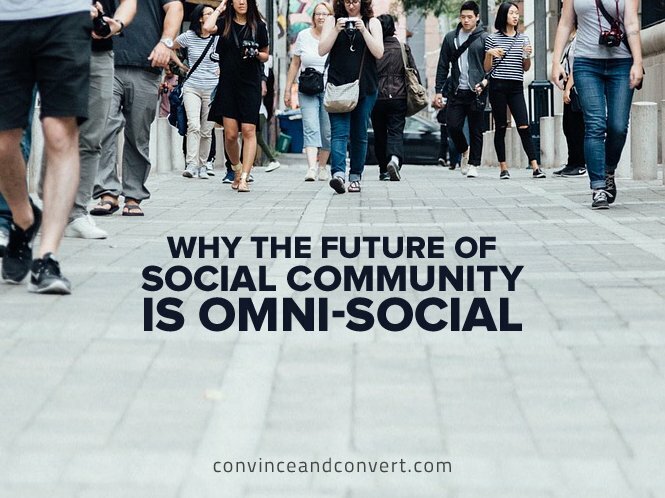 Smart companies are now combining owned and rented community functions into a 1+1=3 scenario I call Omni-Social. The rise of this multi-faceted approach to community was the subject of a deep, strategic Webinar I hosted recently with my good friends at Janrain (a leading provider of customer identity management and community functionality, and a Convince & Convert partner). You can grab the slides and watch the reply of the “Omni-social: How to create community in the digital places you own AND the places you rent“ session here, and if you care at all about community, I guarantee it will be time well spent. Click for the replay of the Omni-Social Webinar. The original “social media” consisted mainly of brand-owned channels like the old-school HOG (Harley Owners’ Group) community built and facilitated by Harley-Davidson. Then, along came the new breed of digital landlords like MySpace, Facebook, Twitter, Instagram, Linkedin, Pinterest, and even G+ for a time. These channels aggregated digital consumer attention to an unprecedented degree, forcing companies and organizations to take a “if you can’t beat em, join em” approach to online community. That’s how we ended up outsourcing much of the customer community function (at least from an infrastructure standpoint) to third party social networks, who “rented” to brands the attention of their own customers. But now that these landlords are mostly public companies, they have a fiduciary responsibility to maximize their own revenue, and have changed the rules accordingly. Thus, the massive decline in “free” organic reach, in favor of a pay-to-play schema that organizations grumble about but typically pony up in the end. But this, of course, makes social community more expensive and less efficient as brands are forced to pay for Reliable Reach. It’s simply not realistic to suggest that companies turn their backs on social network landlords. The audience aggregation on Facebook (in particular) and other platforms is simply overwhelming. It would be like a company saying they refuse to send emails because they don’t want to pay an email service provider (like Emma, which we use). You may not want to play Facebook’s game, but play it you must. But what you CAN do is pursue an Omni-Social strategy that changes the fundamental role filled by your leased social communities on Facebook, et al. Giving community members at least partial control of the narrative and dialog inside the owned community. Enable the community to be “theirs” in a way the Facebook page never could be. This last piece – community member empowerment – is critical to the success of any owned community strategy, regardless of whether it’s part of a larger Omni-Social approach. The key shape to remember in community is the triangle, whereby members interact with the brand, but ALSO with one another. In the Webinar, we unveiled a new framework – developed by Janrain and me – that describes the four ways Omni-Social can work. 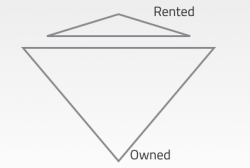 That is, the four relationships between your rented social communities and your owned social communities. 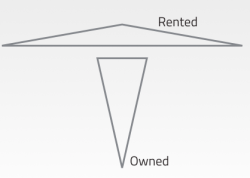 In this model, lightweight, high volume interactions and messaging take place mostly on rented community. 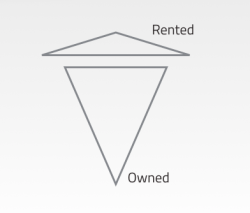 The owned community is used for specific purposes such as self-service and/or community-based support, and insights generation. Owned community is used for specific purposes centered around advocacy and insights, including crowd-sourcing and similar functions. Owned community members must be invited to participate. In this model, which is essentially the reverse of the current norm for most organizations, high-value, complex interactions take place primarily on owned community. The rented community is mostly used as a promotional, campaign vehicle, primarily through paid posts. Some rented community messaging is used to recruit rented community members to participate in the more comprehensive owned community. 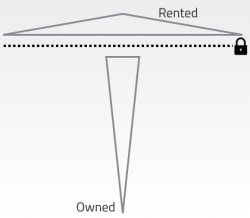 In this way, the rented community becomes a promotional arm for the owned community. In this fourth model, all conversations and content (including UGC) are posted to rented community. But the best, most successful, and/or most relevant content is then cross-posted to the owned community. 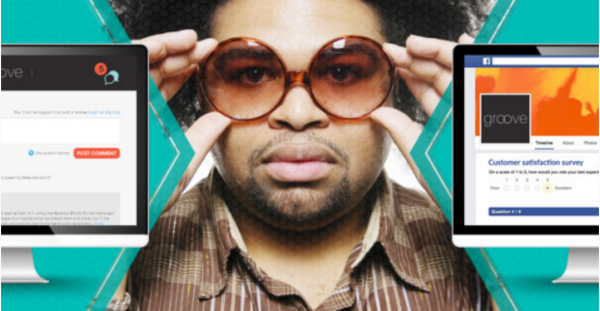 This solves organic reach problems, and can create a “greatest hits” opportunity on the owned community. This is essentially how some email newsletter programs work now, delivering the best of rented social content to fans via in the inbox. Which of these Omni-Social models makes the most sense for your brand? For a LOT more detail on this topic, please grab the reply of the Omni-Social Webinar, and I’d love your comments below.